We’re currently in the day and age where you can literally make a living off of being a content creator. Beautiful isn’t it? While getting paid to share your thoughts on a brand and/or product is awesome sauce, it’s important to have certain things secured on your end before trying to working with them. Working with Curlfluence, I’ve been blessed with the opportunity to gain insight on what brands (both big and small) really expect from Bloggers/Influencers. Lets just say, it isn’t necessarily always about the numbers but more so what you can offer to a brand. If you’re a blogger who is interested in working with brands then this post is for you! Believe me when I say, consistency is absolutely key! Some brands truly measure if they want to work with an influencer based on how consistently they post and share their content. When you think about it, these brands are potentially investing money in you and they want to see what their return on investment (or ROI for short) will be. If you post once, maybe twice on your blog and rarely update your social media pages; brands won’t be able to see your true potential and all that you can offer. Putting working with brands to the side, the importance of creating consistent content is important if you are a blogger. 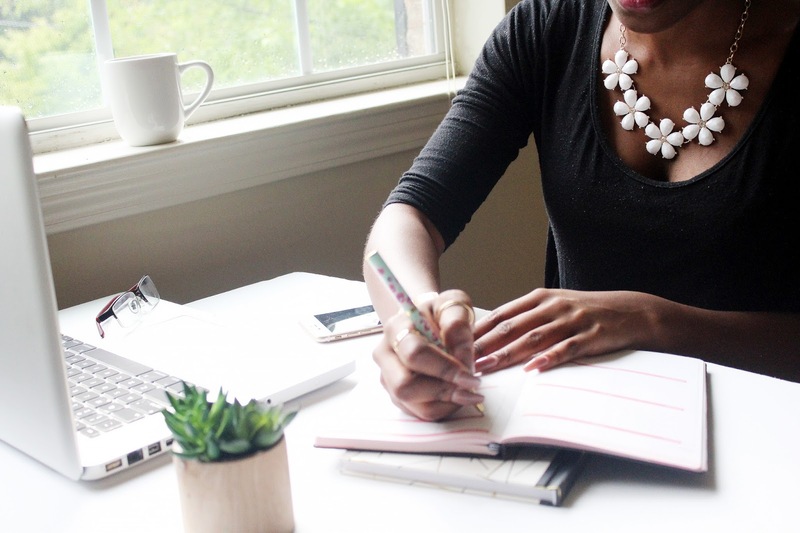 The more you delay creating posts and visuals, the further you’re pushing back all of the success you can truly have if you actually stick to your content plan. Also, with consistency should come growth. Be sure to perfect the look of your blog to the best of your ability and have strong visuals. Ya’ll, when I say truly having engagement and interacting with your community online is a crucial piece to have before working with a brand, I mean it! I’ve spoken with bloggers in the past who felt that because they didn’t have a million followers they were never going to have the opportunity to work with a brand. This is so not true! Ultimately, brands are looking for authentic content creators who can advertise their products or services to various communities. Micro influencers who are able to directly reach their audience and have a great deal of engagement definitely have a seat a the table. This proves to brands that although your social reach may not be as high, you still bring value. Be sure to spend your time investing in building out your community and interacting with others digitally before reaching out directly to a brand. Knowing your value and perfecting your pitch go hand in hand. Lets first get into knowing your value. 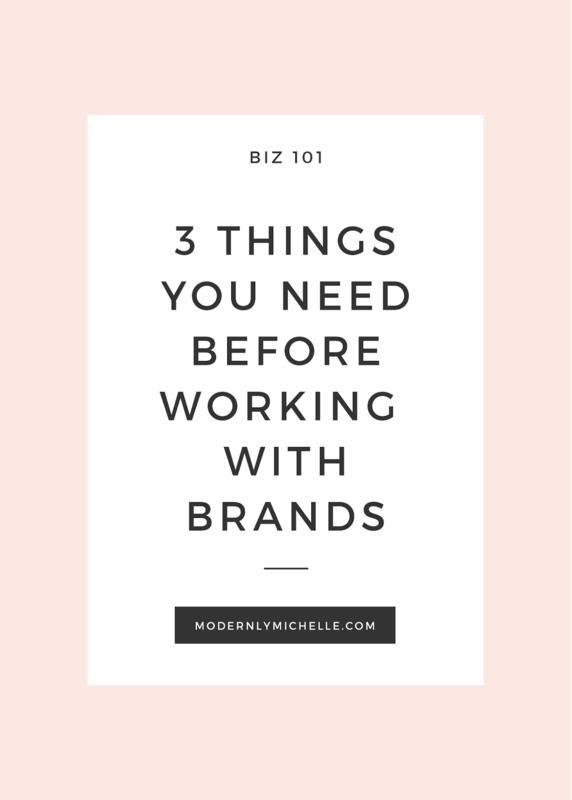 I personally believe that when working with your brands, you shouldn’t initially focus on racking up tons of free products or collecting cash. Your main intention should be to build out relationships with these businesses and enjoy the opportunity to create fun, new content. Having a brand myself, I can honestly say working with influencers who create the same uninspired content can get very underwhelming. You need to first know what you can truly offer a brand and ensure that you will be able to execute it before offering any prices for your services. The worse thing you can do is promise something that you know you won’t be able to accomplish. Tip: Take out a moment to highlight the key aspects that you can offer a brand both on your blog and social media page. A pitch is a letter, typically in the form of an email, that is sent to brands and serves as an opportunity to introduce yourself to them. It’s very important that you are clear and concise in your pitch and briefly share what you can offer. Simply saying, “I would love to review xyz on my channel.” doesn’t cut it folks. Take out the time to introduce yourself, your blog, and be sure to share your value with the brand. Hope these tips help those out there who are looking to work with brands. Perfect these three things and you’re well on your way to collaborations!